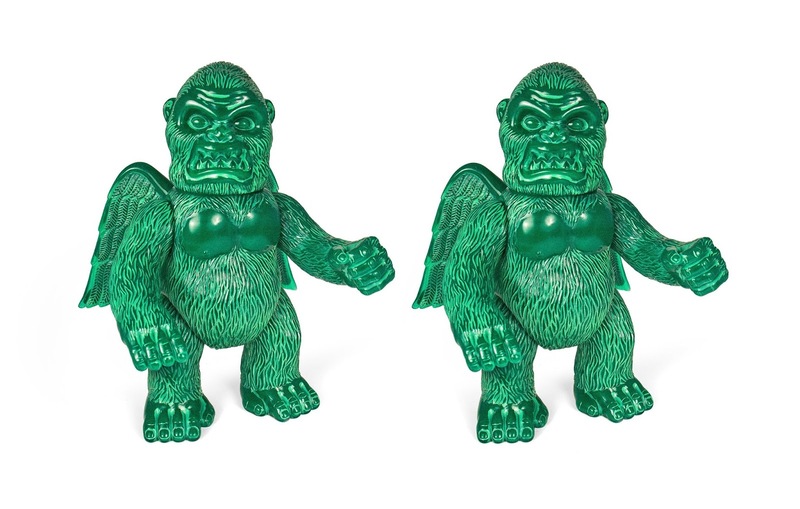 The mighty Wing Kong, whose name strikes fear in even the hardest Super7 adventure veterans, returns as this special 9” tall Jade Statue “Double Slush” sofubi. Cast in translucent green soft Japanese vinyl with an inner layer of opaque green vinyl, this stunning figure is handcrafted, hand-painted, and imported from Japan. Each Jade Statue Wing Kong comes poly-bagged with a custom header card. Collectors can purchase this limited edition colorway now at the Super7 online store for $125.